Get the bunting and party poppers out! 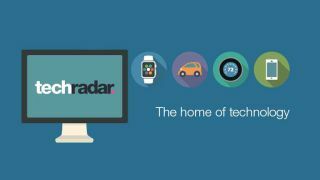 We've had a major site revamp and made techradar better than ever! As the home of new technology, we've never been easier to read so you can get straight to the articles that are on the pulse of what's new, what's hot and what's must-have in tech. Because we know how everyone loves freebies, to celebrate the new-look techradar, instead of cake, we're giving away a free ebook to read. Who doesn't love a free ebook? As you might be aware from our coverage over the last few weeks, Apple launched the iPhone 6S and iPhone 6S Plus earlier this month. Our ebook will take you through their main features as well as a quick look at iOS 9. Simply download the PDF here and get reading, and let us know what you think of the book, or our new site in the comments below.